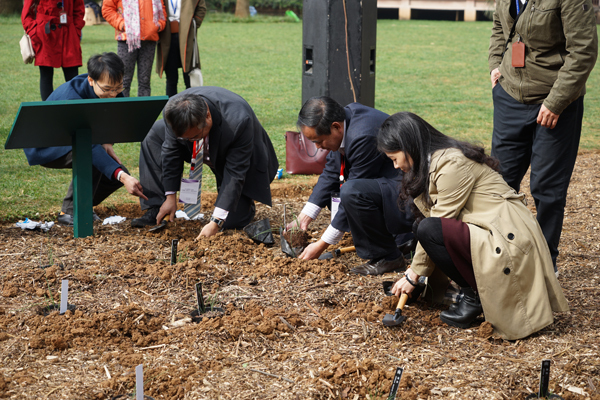 A launching ceremony of the China-Uzbekistan Global Allium Garden (Kunming Center) was held on November 22 at Kunming Institute of Botany. 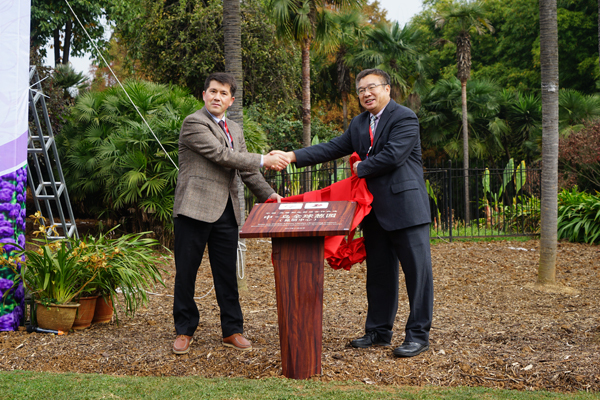 It is the world’s first Allium garden co-constructed by Kunming Institute of Botany, Chinese Academy of Sciences (KIB/CAS) and the Institute of Botany, Uzbekistan Academy of Sciences . 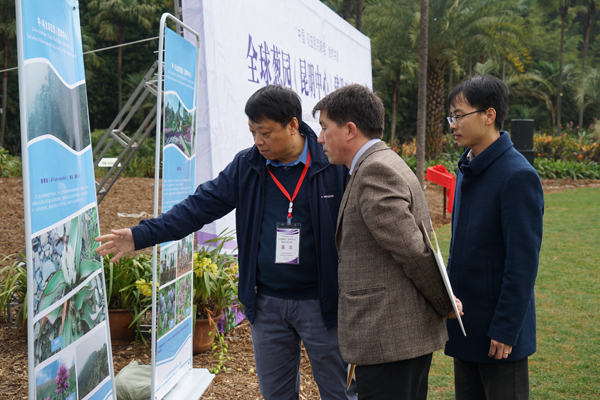 Representatives from relevant authorities and S&T organizations from both China and Uzbekistan were present at the ceremony and inspected the pre-construction work as well as the planning layout of the Garden. 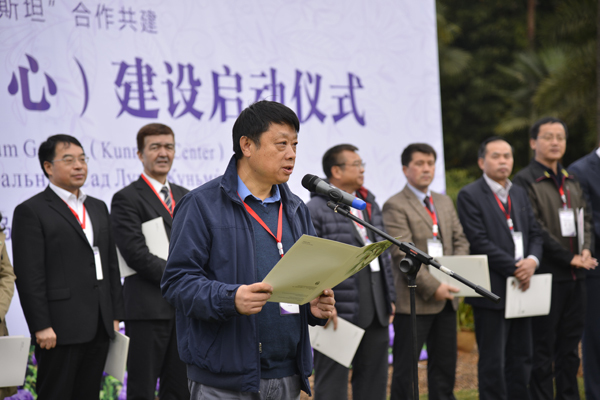 Prof. SUN Hang，the director of Kunming Institute of Botany, Chinese Academy of Sciences (KIB/CAS) mentioned that since the first signed MoU between KIB and the Institute of Botany, Uzbekistan Academy of Sciences in 2013, both party has started number of cooperations. 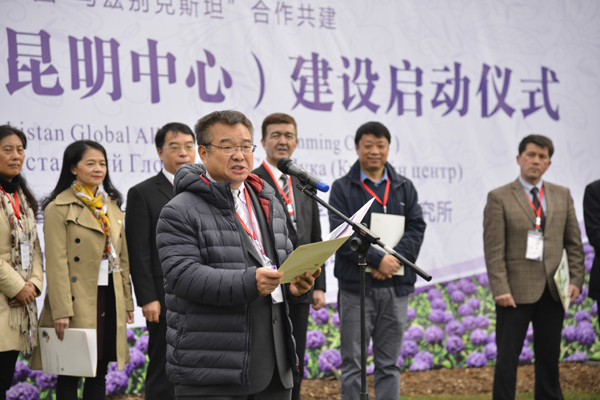 The launching of the China-Uzbekistan Global Allium Garden (Kunming Center) is a great example that strengthens the international cooperation among countries and regions along the Belt and Road Initiative. CAO Jinghua, the director of Bureau of International Cooperation, Chinese Academy of Sciences said: “The Chinese Academy of Sciences has been expanding cooperation with countries along the Belt and Road Initiative since 2013, and proposed this international scientific alliance, so CAS hope to play a leading role in the cooperation. Science and innovation not only holds the promise of solutions to complex scientific challenges in the development of the Belt and Road Initiative, but can also be of significant value to the upgrading of the capacity and quality of cooperation between China and other countries. I believe the China-Uzbekistan Global Allium Garden (Kunming Center) will show the great effort for construction of the Belt and Road Initiative. Dr. Tojibave Komiljon, director of Institute of Botany, Uzbekistan Academy of Sciences said: “Allium, which has been long-standing and widely used worldwide, is an important economic plant distributed in China as well as in Central Asia along the Belt and Road Initiative countries and regions. The construction of China-Uzbekistan Global Allium Garden (Kunming Center) is one of the example the Belt and Road platform to promote innovation and international collaboration between China and Uzbekistan. The genus Allium (Liliaceae) contains hundreds of species, including the cultivated onion, garlic, scallion, shallot, leek, and chives many of them have the smell of garlic and are economically important as crops, medicinal or ornamental plants. The majority of over 500 Allium species are native to the Northern Hemisphere, while a few species are distribute in tropical and subtropical regions. There are more than 100 Allium species (nearly 50% of which are endemic to China) that are mainly distributed in northwestern, southwestern and northeastern China. Uzbekistan is also an important origin and diversification center of Allium, which owns rich germplasm resources. 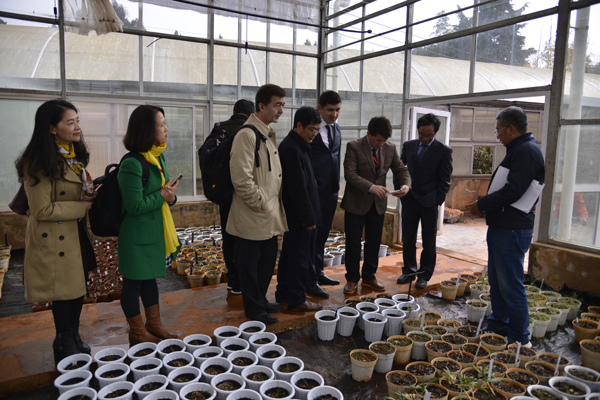 The Global Allium Garden (Kunming Center) is the collaboration between Chinese and Uzbekistan botanical research institutes. It will be composed of two centers, namely the Kunming Center and Toshkent Center. The Garden is supposed to collect, conserve and exhibit over 90% Allium of world , acting as a supporting platform for Allium research , utilization and public education. The China-Uzbekistan Global Allium Garden (Kunming Center) is located in Kunming Botanical Garden, Kunming Institute of Botany. It covers an area of 3,700 square meters (5.5 acres) and is designed in line with circumstances to create a natural type landscape. 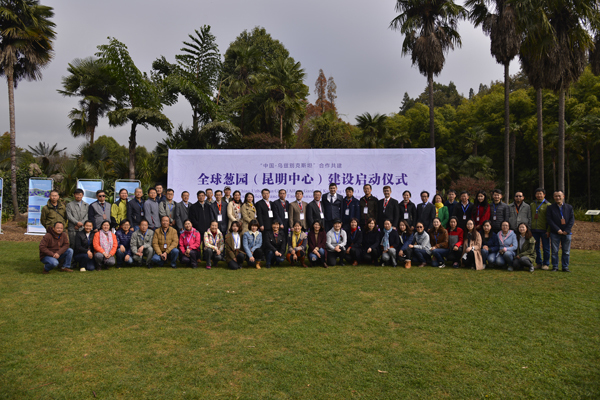 The garden (Kunming Center) is divided into the native species conservation area and flower border viewing area, while the latter is subdivided into three sectors based on the different use of Allium as edible, ornamental or medicinal plants. Up to now, over 100 Allium species have been introduced and bred in the China-Uzbekistan Allium Germplasm Nursery. The planning layout called for the conservation and breeding of at least 200 Allium species to be completed during the first phase of construction.